Thats all. 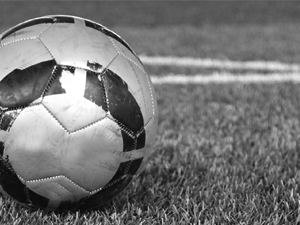 Game finished - Monterrey 4, Santos Laguna 0. Second Half ended - Monterrey 4, Santos Laguna 0. New attacking attempt. Javier Correa - Santos Laguna - shot with right foot from the left side of the box is saved by goalkeeper in the centre of the goal. Assist - Gerardo Arteaga. Missed chance. Doria - Santos Laguna - shot with left foot from outside the box missed from a free kick. Javier Correa - Santos Laguna - won a free kick in attack. Missed chance. Maximiliano Meza - Monterrey - shot with right foot from more than 35 yards missed. Goal! 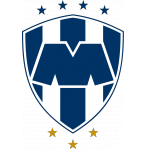 Monterrey 4, Santos Laguna 0. Rogelio Funes Mori - Monterrey - shot with right foot from the centre of the box to the right corner. Assist - Maximiliano Meza. Shot blocked. Miguel Layún - Monterrey - shot with right foot from outside the box is blocked. Assist - Avilés Hurtado. Avilés Hurtado - Monterrey - won a free kick on the left wing. Gerardo Arteaga - Santos Laguna - won a free kick in defence. 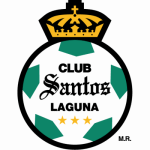 Delay in match - Santos Laguna Video Review. Missed chance. Brian Lozano - Santos Laguna - shot with right foot from the centre of the box is very close to the goal. New attacking attempt. Deinner Quiñónes - Santos Laguna - shot with left foot from outside the box is saved by goalkeeper in the centre of the goal. Assist - Javier Correa. Shot blocked. Brian Lozano - Santos Laguna - shot with right foot from outside the box is blocked. Assist - Deinner Quiñónes. Substitution - Monterrey. Maximiliano Meza for Dorlan Pabón. Goal! Monterrey 3, Santos Laguna 0. Rogelio Funes Mori - Monterrey - shot with right foot from the centre of the box to the left corner. Assist - Avilés Hurtado. Deinner Quiñónes - Santos Laguna - receive yellow card for a foul. Carlos Rodríguez - Monterrey - won a free kick in attack. Missed chance. Julio Furch - Santos Laguna - shot with the head from few metres is very close to the goal. Assist - Javier Correa. Missed chance. Javier Correa - Santos Laguna - shot with the head from the centre of the box missed. Assist - Carlos Orrantía with a cross. Avilés Hurtado - Monterrey - won a free kick in defence. Delay in match José Abella - Santos Laguna - - injury. Substitution - Santos Laguna. Carlos Orrantía for Marlos Moreno. Missed chance. Miguel Layún - Monterrey - shot with right foot from outside the box goes high from a free kick. Rogelio Funes Mori - Monterrey - won a free kick in attack. Jesús Gallardo - Monterrey - won a free kick in defence. Marlos Moreno - Santos Laguna - won a free kick in attack. Missed chance. Marlos Moreno - Santos Laguna - shot with right foot from the centre of the box missed to the left. Assist - Gerardo Arteaga with a cross. Marlos Moreno - Santos Laguna - won a free kick on the right wing. Goal! Monterrey 2, Santos Laguna 0. Rogelio Funes Mori - Monterrey - shot with right foot from the centre of the box to the left corner. Assist - Avilés Hurtado. Substitution - Santos Laguna. Deinner Quiñónes for Diego Valdés. Missed chance. Jesús Gallardo - Monterrey - shot with left foot from outside the box goes high. Assist - Avilés Hurtado. Missed chance. Doria - Santos Laguna - shot with the head from the centre of the box is close, but missed. Assist - Brian Lozano with a cross after corner. Corner - Santos Laguna. Conceded by Miguel Layún. Gerardo Arteaga - Santos Laguna - won a free kick in attack. José Vázquez - Santos Laguna - won a free kick in defence. Miguel Layún - Monterrey - won a free kick on the right wing. Corner - Monterrey. Conceded by José Abella. Missed chance. Rogelio Funes Mori - Monterrey - shot with left foot from the right side of the box missed to the left. Assist - Dorlan Pabón. Offside - Santos Laguna. Hugo Nervo with a pass, however Brian Lozano is in offside. Diego Valdés - Santos Laguna - won a free kick in defence. Missed chance. Dorlan Pabón - Monterrey - shot with right foot from outside the box is close, but missed. Assist - Rogelio Funes Mori. Second Half starts Monterrey 1, Santos Laguna 0. First Half ended - Monterrey 1, Santos Laguna 0. Missed chance. Julio Furch - Santos Laguna - shot with left foot from outside the box is close, but missed to the left. Assist - Brian Lozano. Delay in match Avilés Hurtado - Monterrey - - injury. Substitution - Monterrey. Eric Cantú for Celso Ortíz - injury. Delay in match Celso Ortíz - Monterrey - - injury. Corner - Santos Laguna. Conceded by Marcelo Barovero. New attacking attempt. Javier Correa - Santos Laguna - shot with right foot from outside the box is saved by goalkeeper in the centre of the goal. Assist - Diego Valdés. New attacking attempt. Rodolfo Pizarro - Monterrey - shot with right foot from outside the box is saved in the top centre of the goal. Assist - Dorlan Pabón. Corner - Santos Laguna. Conceded by Nicolás Sánchez. Brian Lozano - Santos Laguna - won a free kick in defence. Substitution - Santos Laguna. Carlos Acevedo for Jonathan Orozco - injury. Missed chance. Javier Correa - Santos Laguna - shot with the head from the centre of the box is high and wide to the left. Assist - Brian Lozano. Shot blocked. Brian Lozano - Santos Laguna - shot with left foot from outside the box is blocked. Assist - Diego Valdés. Corner - Santos Laguna. Conceded by John Medina. Missed chance. Julio Furch - Santos Laguna - shot with the head from the centre of the box missed. Assist - Gerardo Arteaga with a cross. Delay in match Jonathan Orozco - Santos Laguna - - injury. Jonathan Orozco - Santos Laguna - won a free kick in defence. Corner - Monterrey. Conceded by Hugo Nervo. Hugo Nervo - Santos Laguna - won a free kick in defence. Goal! Monterrey 1, Santos Laguna 0. Rodolfo Pizarro - Monterrey - shot with right foot from the centre of the box to the right corner. Assist - Miguel Layún. Offside - Santos Laguna. Javier Correa with a pass, however Marlos Moreno is in offside. Shot blocked. Javier Correa - Santos Laguna - shot with right foot from outside the box is blocked. Assist - Diego Valdés. New attacking attempt. Avilés Hurtado - Monterrey - shot with right foot from outside the box is saved in the left corner. Missed chance. Carlos Rodríguez - Monterrey - shot with right foot from outside the box is high and wide to the left. Assist - Rodolfo Pizarro with a head. Missed chance. Marlos Moreno - Santos Laguna - header inside of six yard box - left side missed to the left. Assist - José Abella with a head after corner. Shot blocked. Julio Furch - Santos Laguna - shot with right foot from the centre of the box is blocked. Assist - Marlos Moreno. Missed chance. Dorlan Pabón - Monterrey - shot with right foot from outside the box missed. Assist - Avilés Hurtado. Shot blocked. Diego Valdés - Santos Laguna - shot with right foot from outside the box is blocked. Missed chance. Diego Valdés - Santos Laguna - shot with left foot from outside the box is high and wide to the left. Assist - Julio Furch with a head. Missed chance. Julio Furch - Santos Laguna - shot with the head from the left side of the box missed to the left. Assist - Diego Valdés . Julio Furch - Santos Laguna - won a free kick in attack. Offside - Monterrey. Rogelio Funes Mori with a pass, however Dorlan Pabón is in offside.